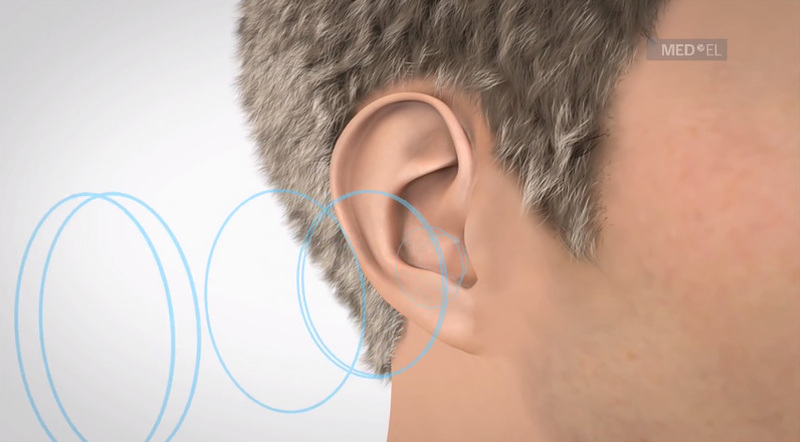 Video to help understand hearing loss and hearing impairment by explaining how hearing works. Conductive hearing loss is a problem in the outer or middle ear that prevents sound from reaching the inner ear. 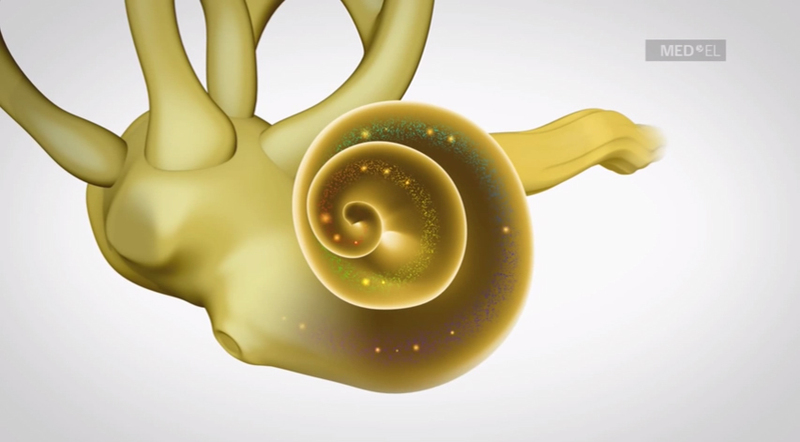 Sensorineural hearing loss occurs in the cochlea when hair cells are missing or damaged. Mixed hearing loss is the combination of sensorineural and conductive hearing losses from problems in the outer, middle and inner ear. 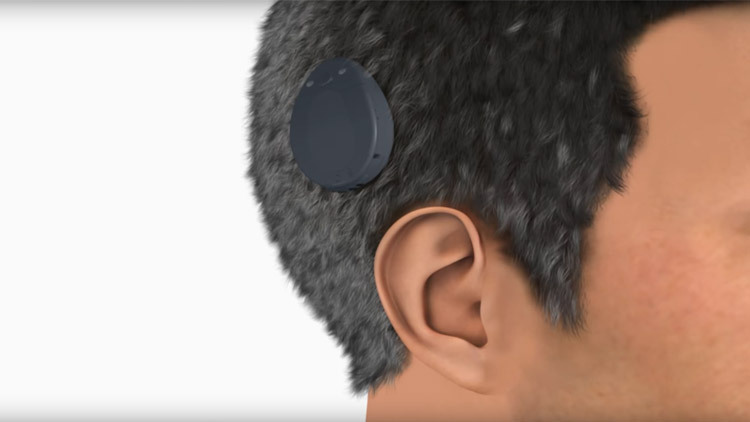 Video explaining the MED-EL cochlear implant system with the RONDO. 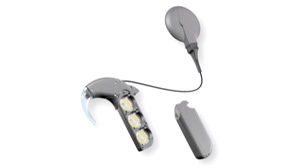 Cochlear Implants for individuals with hearing loss and hearing impairment. 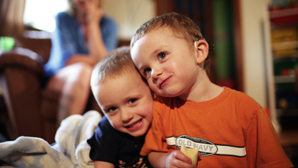 Ethan was born deaf and received MED-EL cochlear implants. Now he uses verbal communication to connect with children and hear his parents. 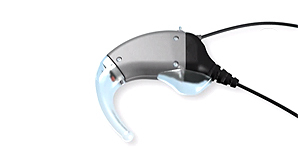 The RONDO cochlear implant wearing option from MED-EL is the world's first Single-Unit processor for cochlear implants. The RONDO cochlear implant Single-Unit Processor has improved Kathy's life especially at work. Sahib loves the natural world. For too long, however, he struggled to hear and to learn. Now, thanks to his CIs, he is learning and exploring his intrests to the fullest. One morning, Donn woke up and he could no longer hear. With the help of his CIs, Donn can now hear the special sounds he once thought were lost forever. Josh is learning to hear the world around him with his CIs. His parents are there to guide him, offering support, explanations and creative ways to make learning to hear fun. During a visit to MED-EL headquarters, Jean was able to express her appreciation for the technology that has restored her hearing. Growing up in a family where music is very important, Isla, a young CI recipient, loves to sing and dance when her father plays the guitar. Michele lost her hearing suddenly. With strength, positivity, and her CI, she has returned to work and her family life is back to normal. Leanne and her daughter have a strong relationship. Now, thanks to improved communication, their time together is even more special. Video explaining MED-EL's Bone Conduction System. 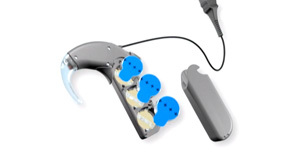 ADHEAR is intended for individuals with conductive hearing loss or single-sided deafness. Hands-on videos explaining how to use ADHEAR. Check out why the world is RONDO: RONDO is the world's first single-unit processor for cochlear implants. MED-EL hearing implants connect individuals around the globe to a world of sound. The FLEX Electrode Array features MED‑EL's unique wave-shaped wiring and atraumatic tip for maximum softness during insertion. 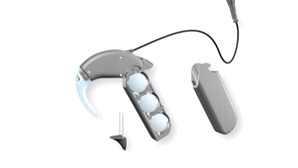 The CONCERT implant is provided with optional pins for easier fixation. All the features of the new CONCERT titanium implant are explained. Performance matters. The MED-EL MAESTRO CI System finishes ahead of the competition offering a superior hearing experience. Even ladybugs can appreciate how lightweight the OPUS 2XS is. 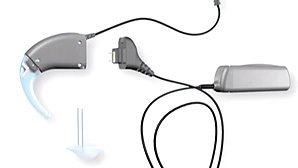 Watch how to connect Phonak's Roger 21 wireless receiver to the SONNET Audio Processor, part of the SYNCHRONY Cochlear Implant system from MED-EL. Watch how to turn SONNET on and off. 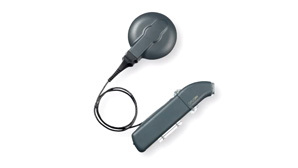 SONNET is an audio processor, part of the SYNCHRONY Cochlear Implant system from MED-EL. Watch how to replace the batteries in SONNET. A handy little tip: use the magnet in the coil to remove them from their holding. 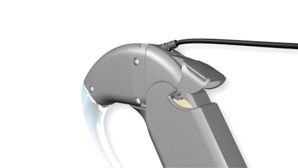 Watch how to remove and replace SONNET's earhook with the pin removal tool. Watch how to change SONNET's microphone cover. Watch how to change the coil magnet of SONNET. Watch how to attach the SONNET cable to the coil. Watch to see how to clean the SONNET. Watch to see what the different status light patterns mean for the SONNET Audio Processor, part of the SYNCHRONY Cochlear Implant system from MED-EL. Watch how to easily troubleshoot the SONNET Audio Processor, part of the SYNCHRONY Cochlear Implant system from MED-EL. Watch how to check the functionality of the SONNET Audio Processor, part of the SYNCHRONY Cochlear Implant system from MED-EL. Watch how to use FM Systems with the SONNET Audio Processor, part of the SYNCHRONY Cochlear Implant system from MED-EL. Watch how to use Direct Audio Input with the SONNET Audio Processor, part of the SYNCHRONY Cochlear Implant system from MED-EL. Watch how to use the FineTuner Remote Control for the SONNET Audio Processor, part of the SYNCHRONY Cochlear Implant system from MED-EL. Watch how to apply and use the WaterWear waterproof accessory for the SONNET Audio Processor, part of the SYNCHRONY Cochlear Implant system from MED-EL. Watch how to apply and use the WaterWear waterproof accessory. 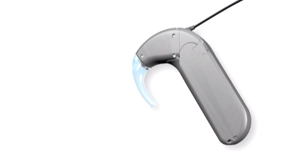 Video explaining the MED-EL cochlear implant system with the RONDO. This short video describes how to activate and deactivate the RONDO Single-Unit Processor for MED-EL's cochlear implant solution. This video describes how to change the batteries of the RONDO Single-Unite Processor. This video describes how to change the magnet of the RONDO Single-Unit Processor. This video describes how to sync the RONDO Single-Unit Processor with the MED-EL FineTuner. This video describes how to use the speech processor test device with the RONDO Single-Unit Processor. This video describes how to connect the RONDO Single-Unit Processor to assistive listening devices and external devices. How to connect direct link assistive listening devices such as FM and Bluetooth systems to the OPUS 2 providing wireless connection. 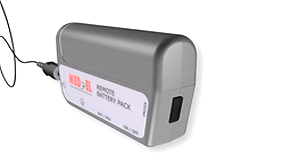 The battery pack casing enables connection with portable CD players, MP3 players and mobile phones. The OPUS 2 remote battery pack lets you power the OPUS 2 with a single AA battery. The OPUS 2 children's battery pack enables wearing of the processor at ear level with the security of attaching the battery pack to clothing. Baby behind the ear or ActiveWear OPUS 2 wearing option for babies and those who do high-energy activities. OPUS 2 DaCapo rechargeable battery pack enables even lighter processor and full FM compatibility. 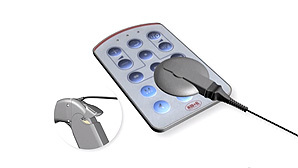 FineTuner enables the user to make changes on the go without removing the processor from the ear. Information on disassembling the OPUS 2 and changing the batteries. Describes how to switch the OPUS 2 on and off. The blinking red light indicates the selected program. This video shows clearly all of the components of the OPUS 2 audio processor.